If you're a brunette in disguise, or a redhead in camouflage, blonde can be one of the hardest hair colours to maintain. We've all heard every tip under the sun for keeping blonde hair brighter for longer, from washing your hair less to washing your hair with beer, but how can you tell a tale from the truth? 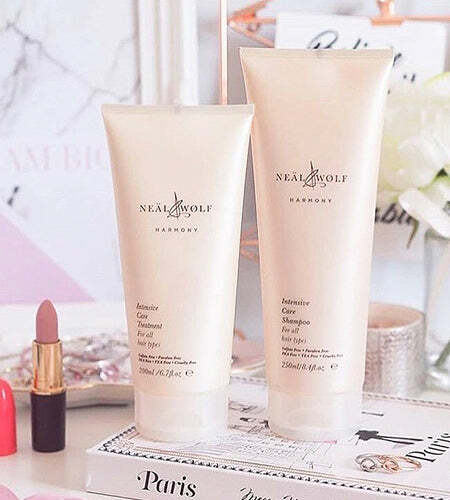 They say blondes have more fun, but being blonde can be a burden, which is why we've assembled our top tips for keeping your blonde hair looking like you're fresh out of the salon! 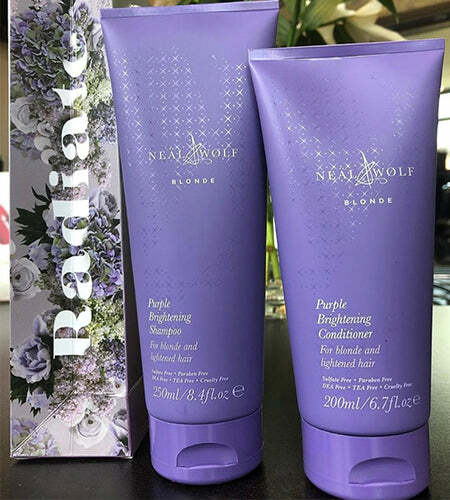 To keep your hair blonder for longer, purple shampoo should be an essential part of your haircare regime. Infused with purple pigmentation, BLONDE neutralises brassy tones. The lilac colouring counteracts the orange trying to break through. 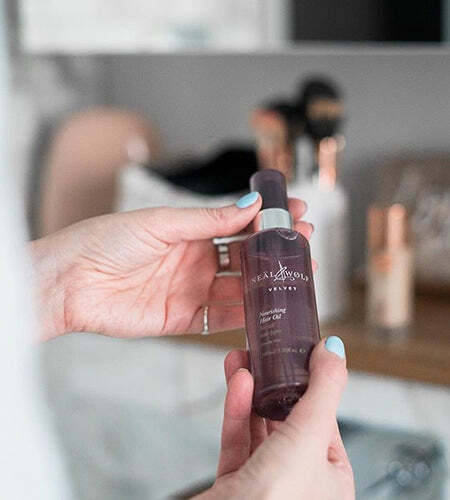 Our colour correcting shampoos unique blend of Vitamin B5 and glycerine offers long-lasting colour protection, whilst keeping hair your feeling and looking healthy. It's no wonder that BLONDE is one of our best-selling products! Stripping a dark shade or bleaching can be a damaging process, which results in your hair losing a lot of its natural oils and nutrients. So, once you've reached your desired shade of blonde, it is essential that you replenish your hair with nourishing products. We suggest using our intensive care treatment, HARMONY. Massaging the product into your hair for 3-5 minutes will leave your hair silky smooth, full of shine and completely restored. For that extra injection of moisture, VELVET is the perfect remedy that repairs as well as styles. Blended with a mixture of three key natural oils; Argan, Avocado, and Jojoba, VELVET leaves your unruly hair looking smooth and glossy, whilst its heat protection works behind the scenes to protect your hair from overexposure to UV rays and styling products - we don't want those luscious locks to turn into a brassy shade of orange! Overall, VELVET is the ultimate blend of luxury and practicality.